Do Drain Cleaners Really Work? A question that many people ask themselves upon discovering that the bathroom or kitchen sink is blocked once again, if you’ve wondered whether the drain cleaner that you’ve been using really works you’re not alone! 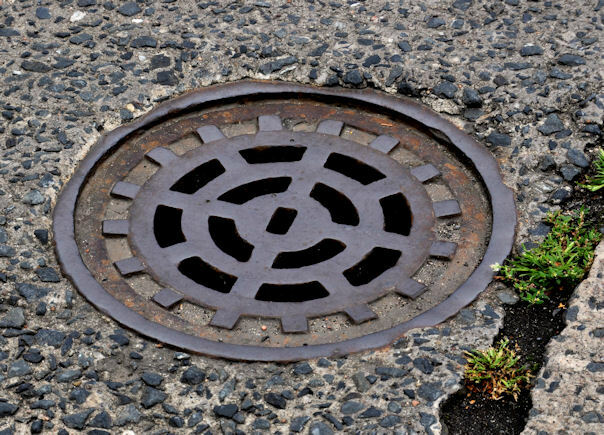 Blocked drains in Perth are common, but it is possible to reduce the likelihood of a blocked drain by having it inspected annually by a local plumbing professional. Drain cleaners are a product, usually powder or liquid but sometimes a gel, that contains a variety of strong chemicals that deliver chemical reactions which involve moving electrons – either taking or giving electrons to produce heat. The heat produced by this chemical reaction unclogs the drain. Acid drain cleaners – These aren’t always available in stores as they are dangerous and usually only sold to plumbing professionals. However, not all plumbers use acidic drain cleaners as others, like PlumbDog servicing blocked drains in Perth, often use high-tech equipment to locate blockages in drains and remove them without causing damage. Caustic drain cleaners – Often containing substances such as caustic potash or lye, caustic drain cleaners contain hydroxide ions which create a chemical reaction that causes heat and clears the clog in the blocked drain. These drain cleaners are a popular way of removing small clogs in drains. Oxidising drain cleaners – These drain cleaners contain bleach, nitrates and peroxides. Unlike caustic drain cleaners which give ions, these chemicals are used to unclog drains by causing the material in the clog to lose ions and disintegrate. When used according to the instructions, these are a good option as they won’t cause damage to the drain and they’re less harmful to the environment. These are the most common types of drain cleaners on the market. If you have a minor clog in a drain, it’s a good idea to do some research to determine the best drain cleaning product to purchase. When you use drain cleaning products to unclog drains and follow the instructions, you’ll generally find that they work well. However, if it’s a major clog, you might find that they don’t work as well as you’d like. What if the Drain Cleaner Doesn’t Work? If you’ve followed the instructions and repeated the process several times only to find that your drain is still clogged, you’ll have to look at your other option, which is to call a plumber and have them unclog the drain for you. Plumbers may use a drain cleaning product but if they do it will be a specialist product and much stronger than the you’ll find in the supermarket or hardware store. The products that they will use will likely contain an acidic substance that’s very strong. However, they’re more likely to use CCTV technology and specialist plumbing equipment to locate the source of the clog and remove it. So, do drain cleaners really work? Sometimes they do and sometimes they don’t, but if they don’t you can always call a plumber! My drains have been getting clogged, and I want to put a stop to it. It makes sense that I would want to try a drain cleaner! If it doesn’t work, I’ll be sure to get a professional to handle it.